A beautiful timepiece kept ticking in a superb single watch winder may be a sign of a gentleman with class, but a debonair dressing gown will seriously take your suave level up a notch or three. The Heff is a famous dressing gown wearer. The Big Lebowski’s Dude was fond of his. Arthur Dent of the Hitch-hiker’s Guide to the Galaxy travelled across time and space in one. 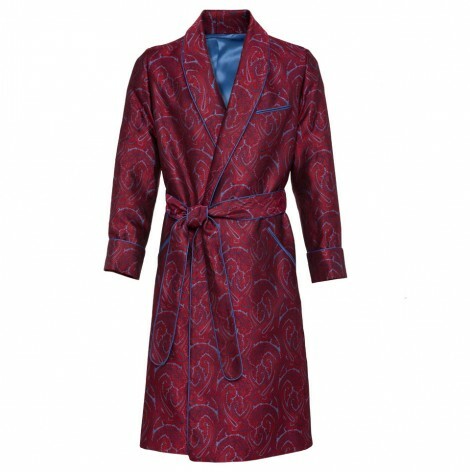 Clearly, a fine dressing gown is the mark of a debonair gent. Here are 5 of the finest specimens currently available, perfect for putting on and feeling like the proverbial don in your man cave. Preferably with a snifter of top drawer scotch. Ridiculously decadent, ludicrously luxurious, exquisitely made. Purveyors of prime gentlemen’s finery Turnbull & Asser have some sublime dressing gowns available for the truly debonair gent. This particular beauty is made from woven jacquard English silk, tailored to perfection. Prefer something a little more simple, but equally suave? This three-pocketed, fully piped silk gown boasts decadent silk, stand-out tailoring and simply spot on construction. Luxurious, but not flamboyant. A truly classic design from respected British shirt makers, Budd. This beauty lists Foulard printed silk, a shawl collar, three traditional patch pockets and contrasting white coloured silk piping amongst its many desirable qualities. Looking for something a little more imposing? 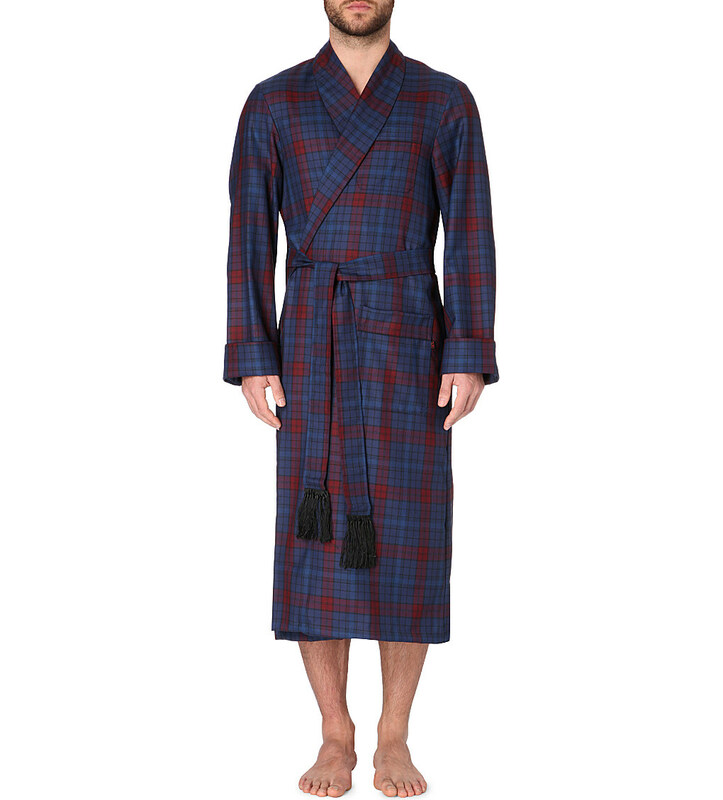 The wide shawl collar of this bathrobe gives the design an especially magisterial air. Combined with houndstooth velour cotton and generous tailoring, this is a fine piece of night (and day) wear. Traditional, but with that extra touch of decadence. 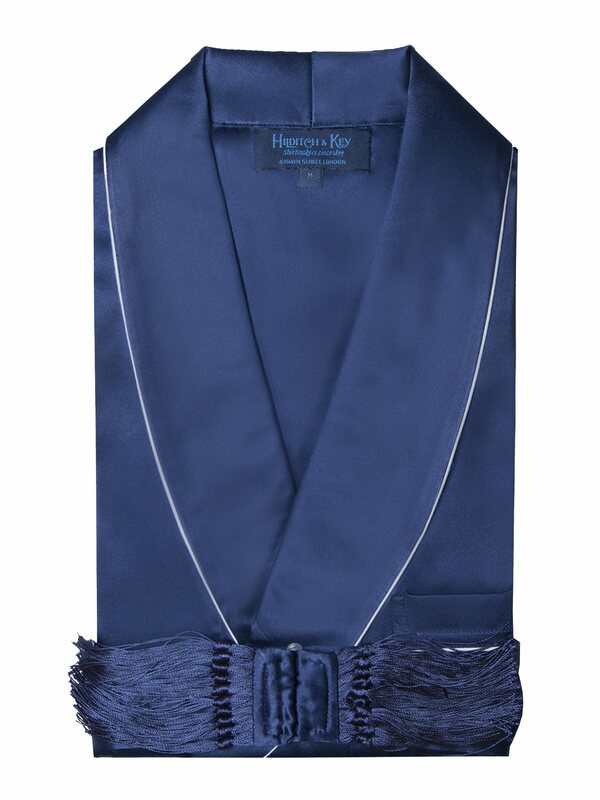 Crafted from superbly soft wool, this design features turn up cuffs, classic lapels and a tassel tie belt. The swagger and suavity is up to you. Are you a dressing gown man? How often do you don a dressing gown and put your feet up? Do you have a preferred style? Silk or wool? Have your say below.